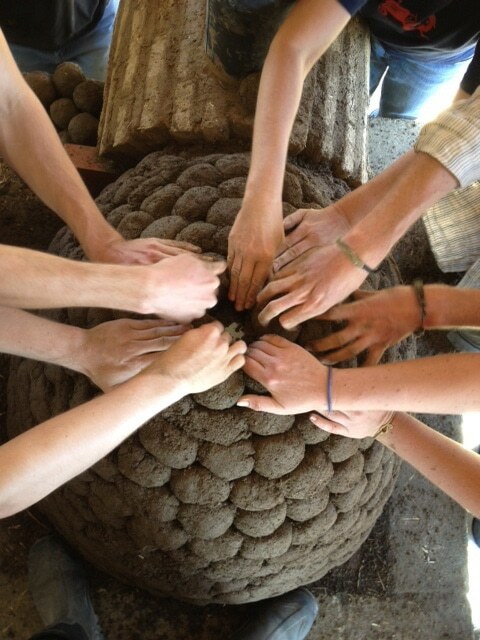 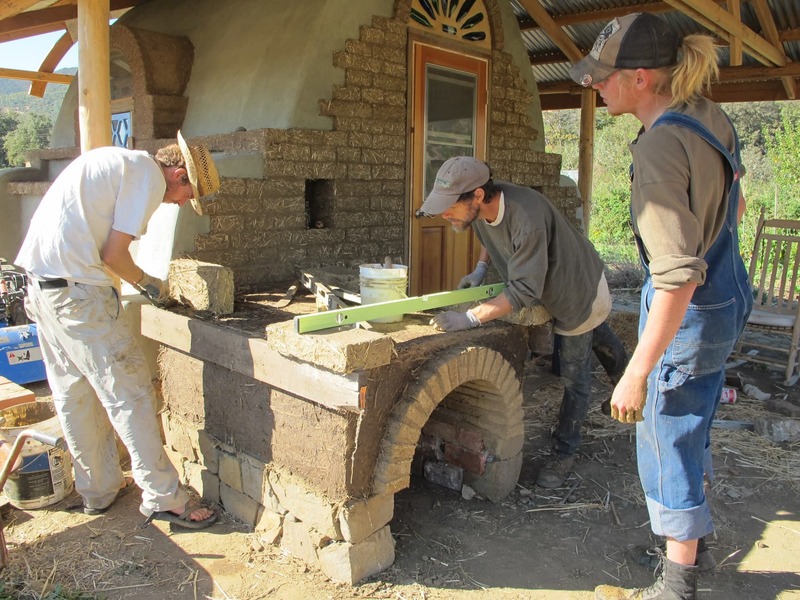 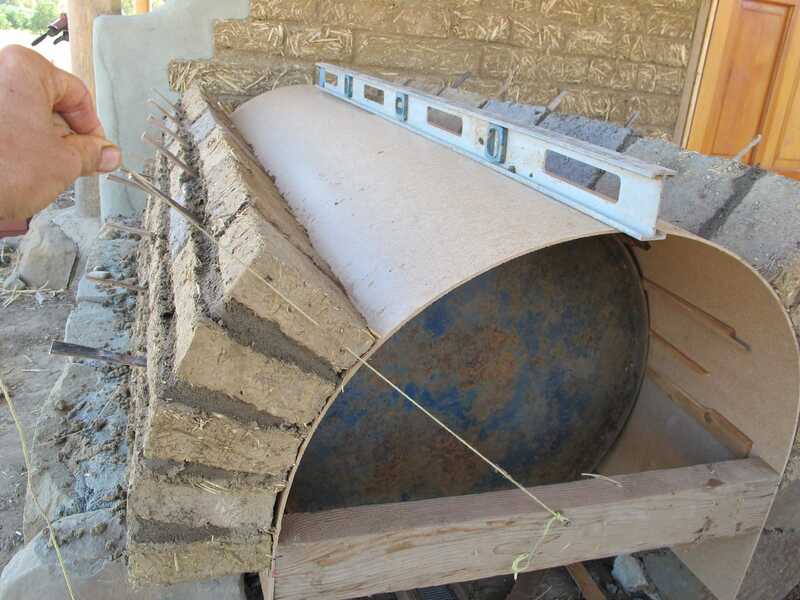 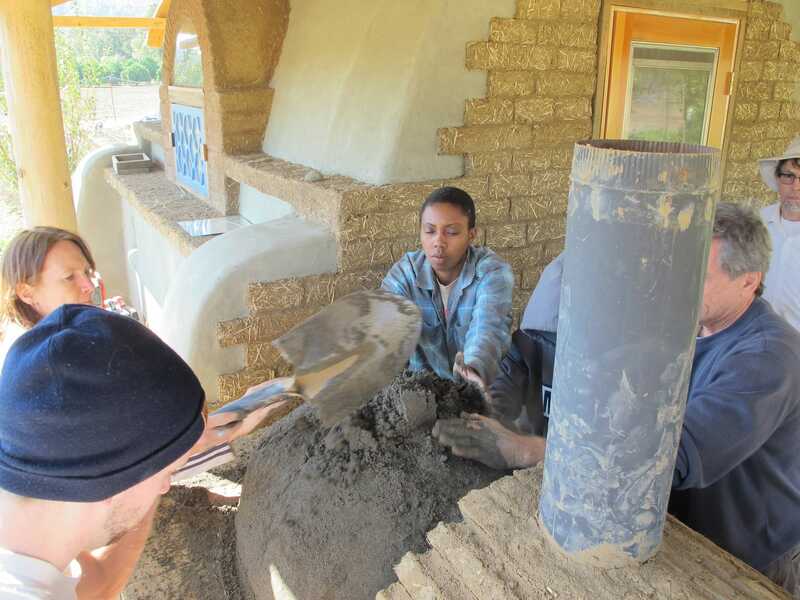 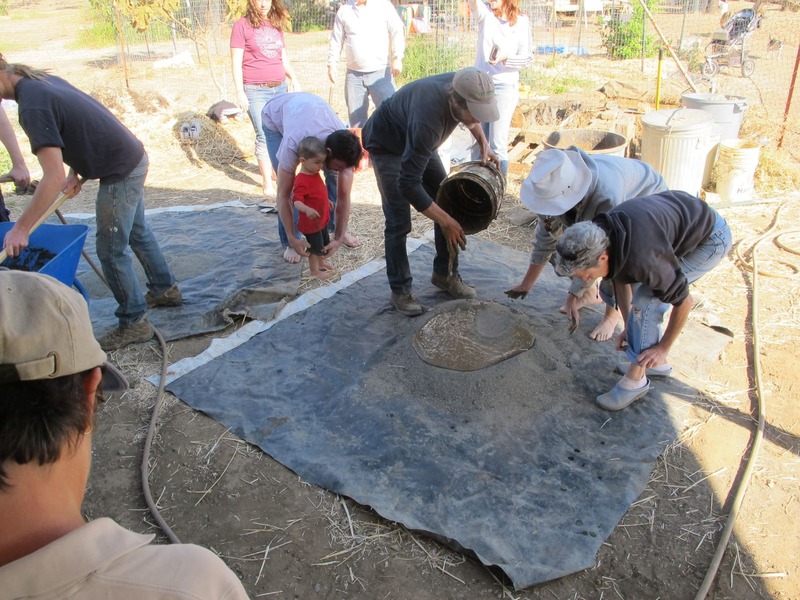 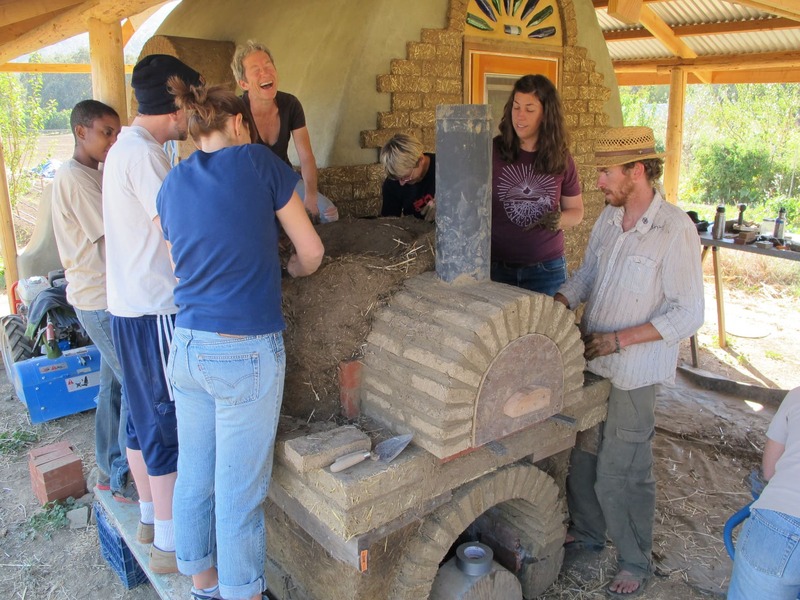 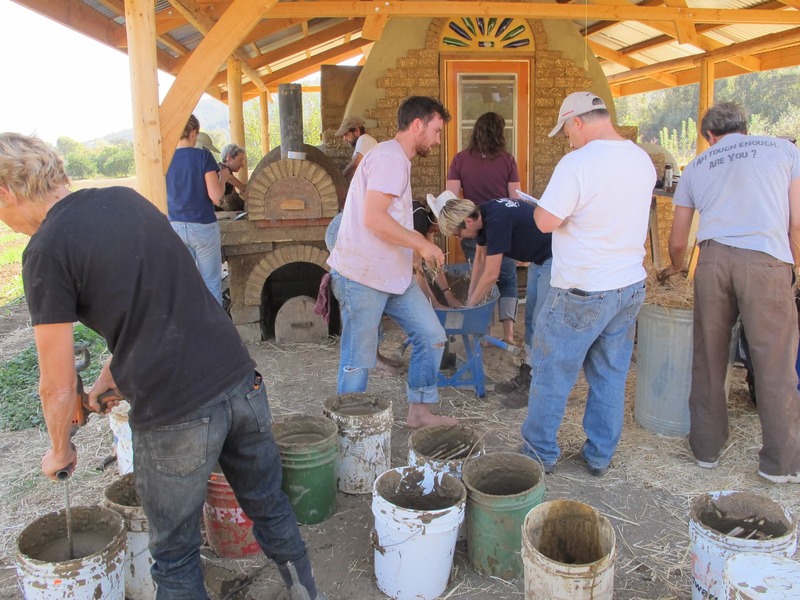 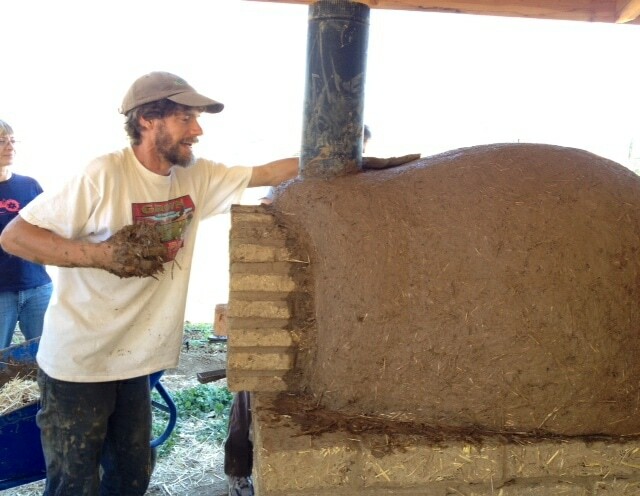 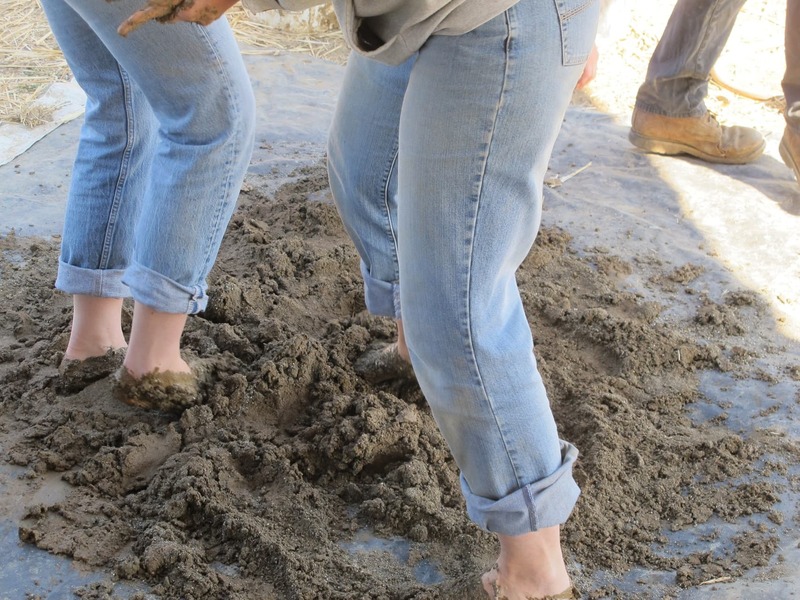 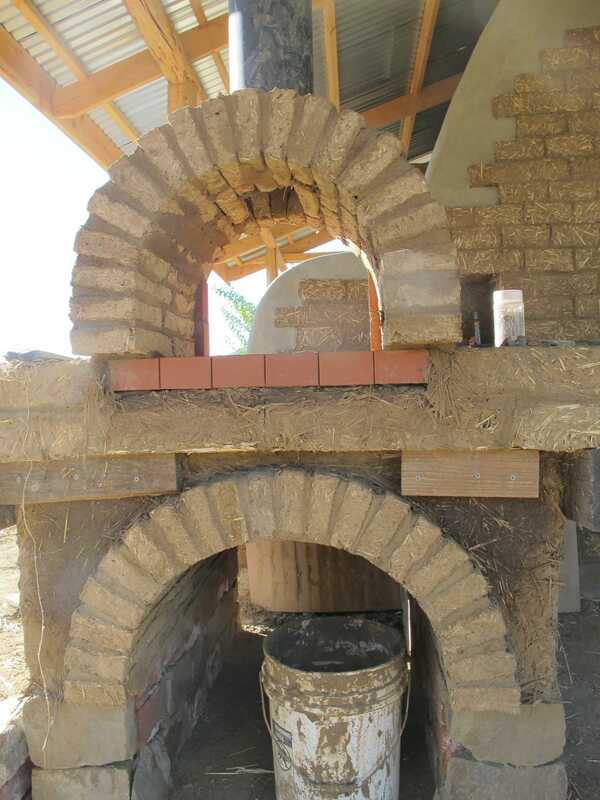 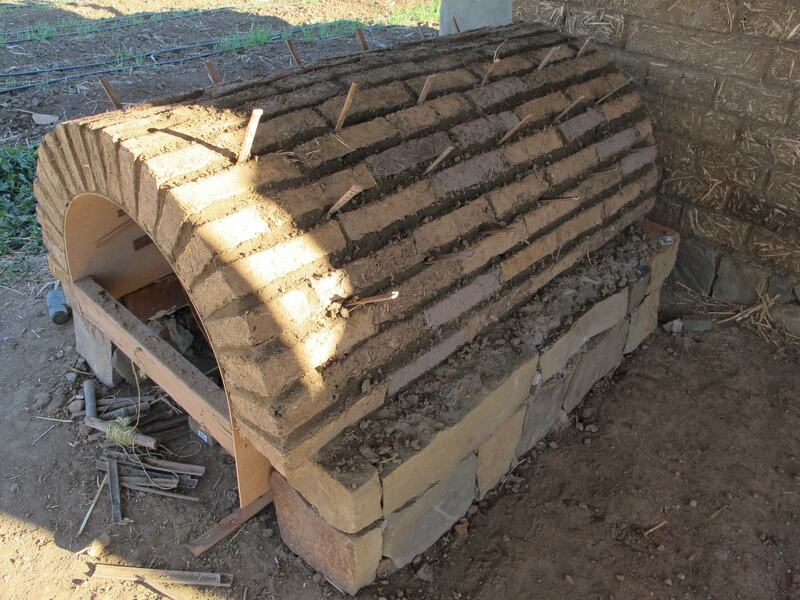 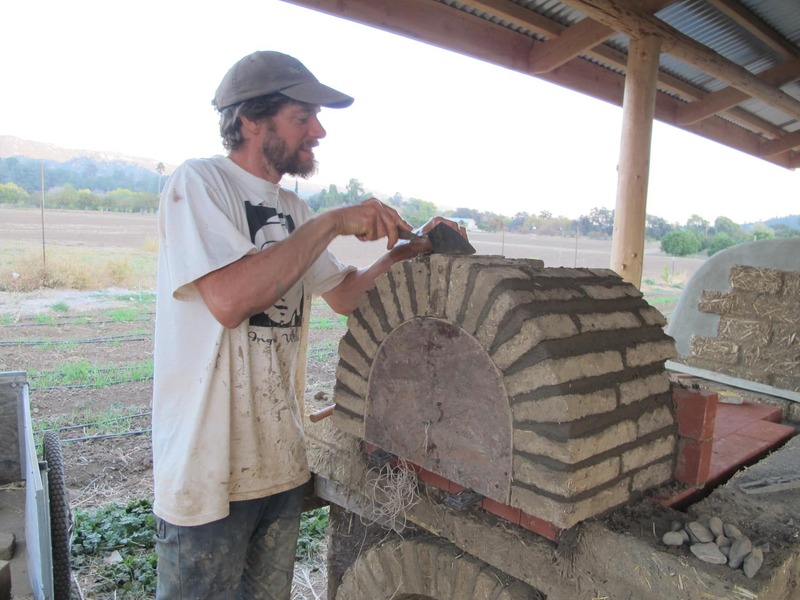 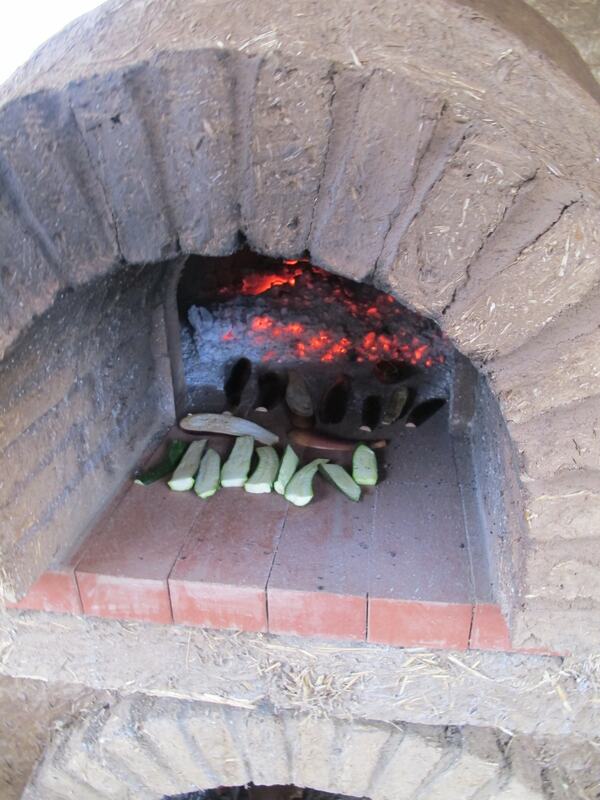 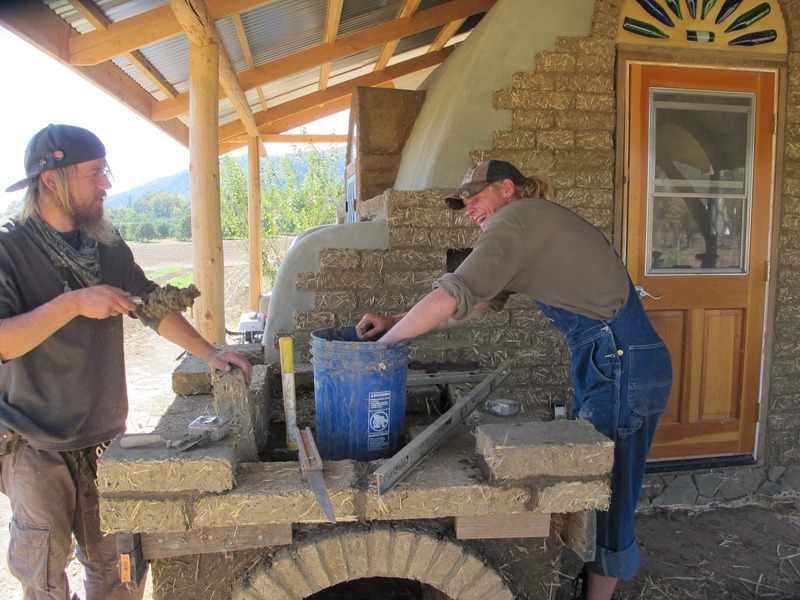 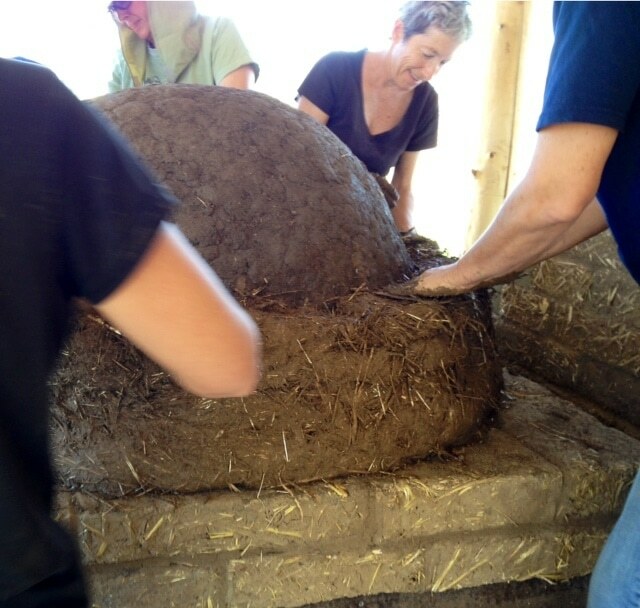 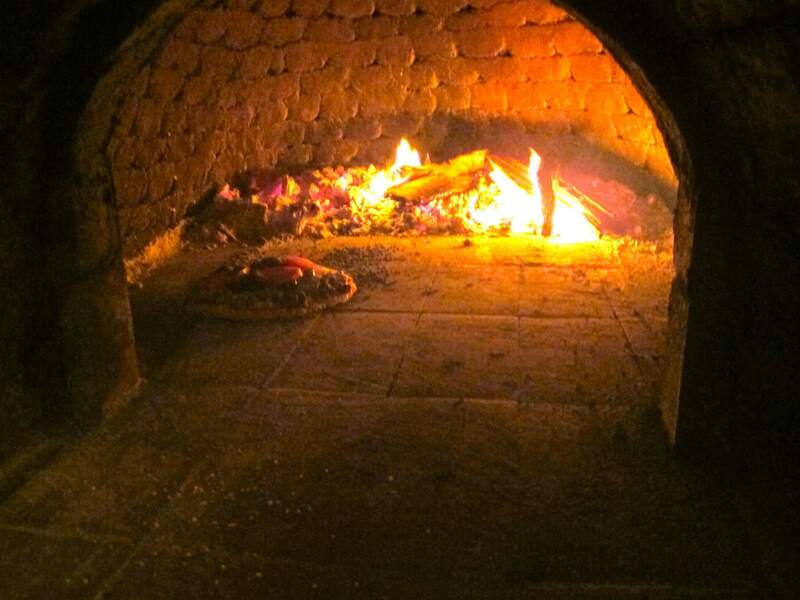 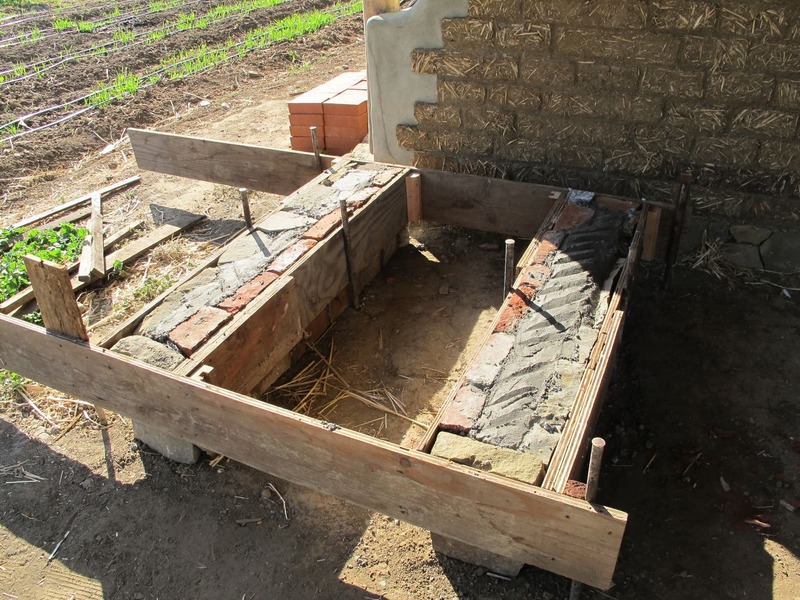 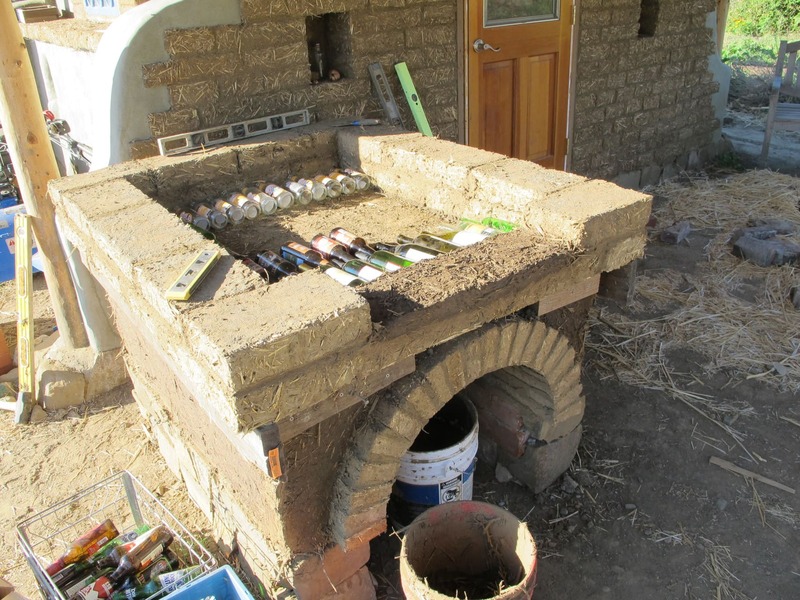 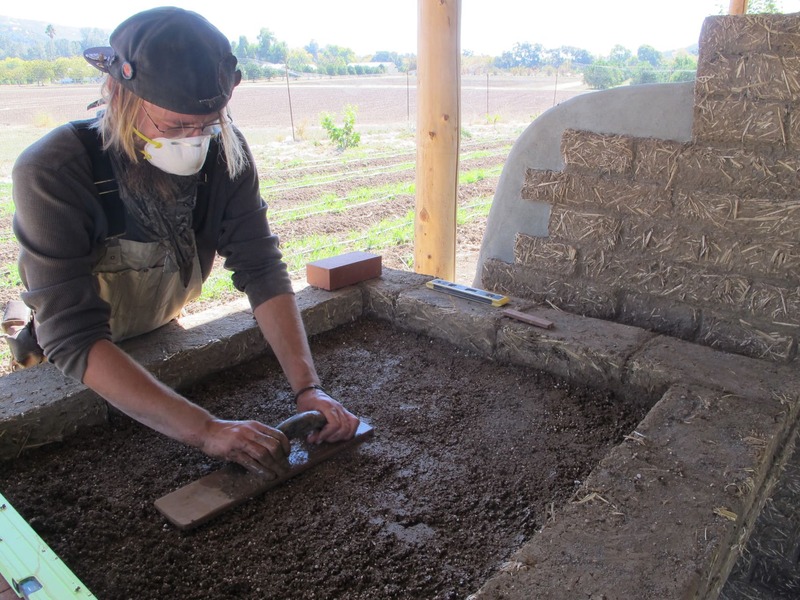 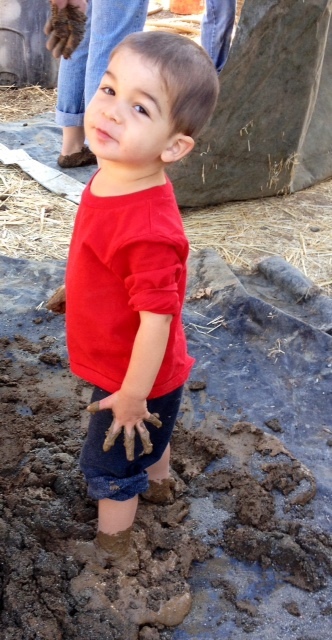 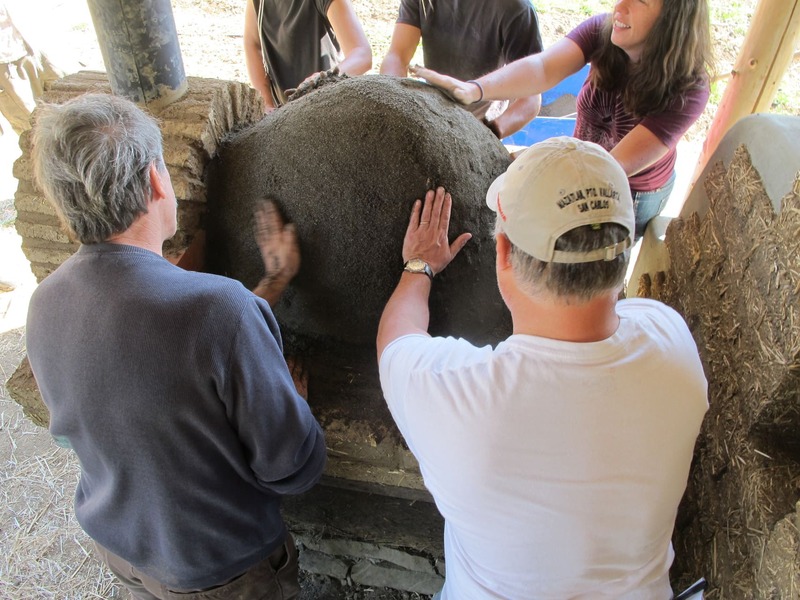 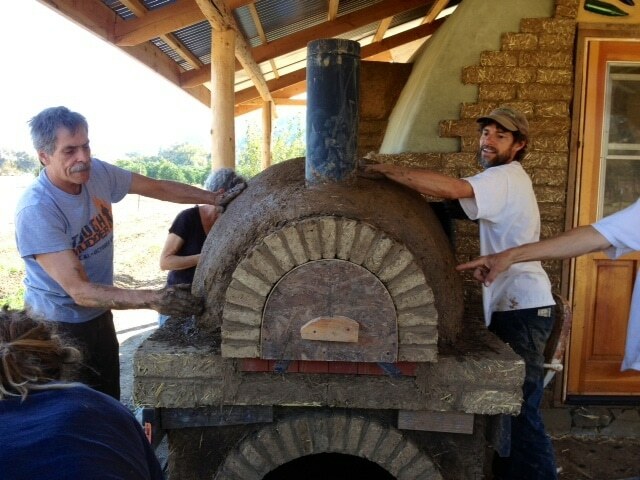 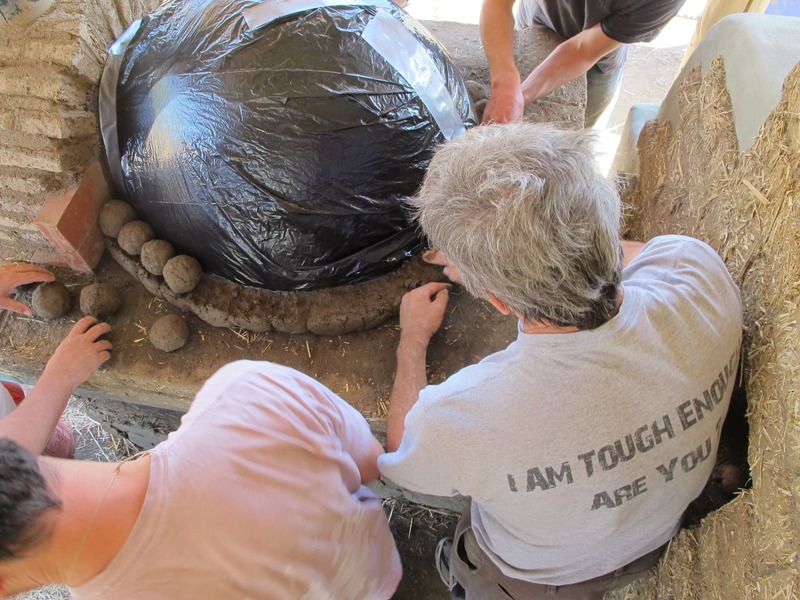 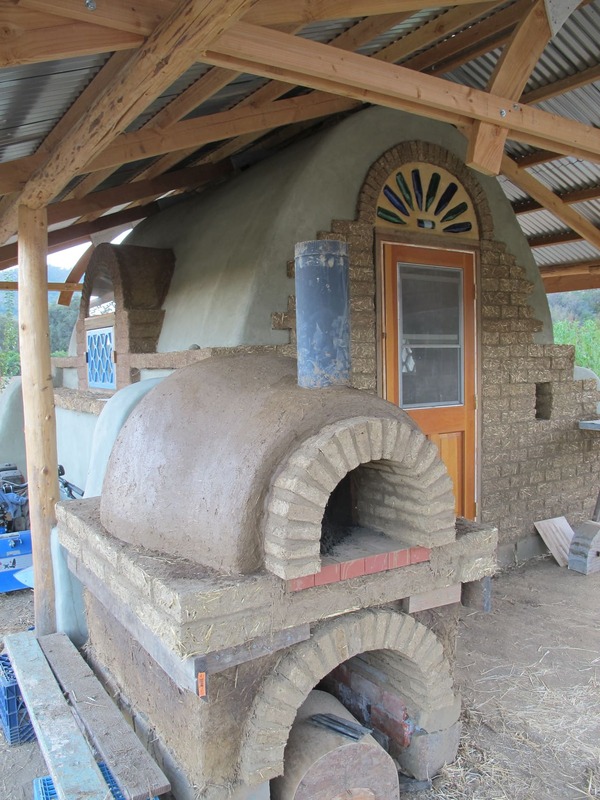 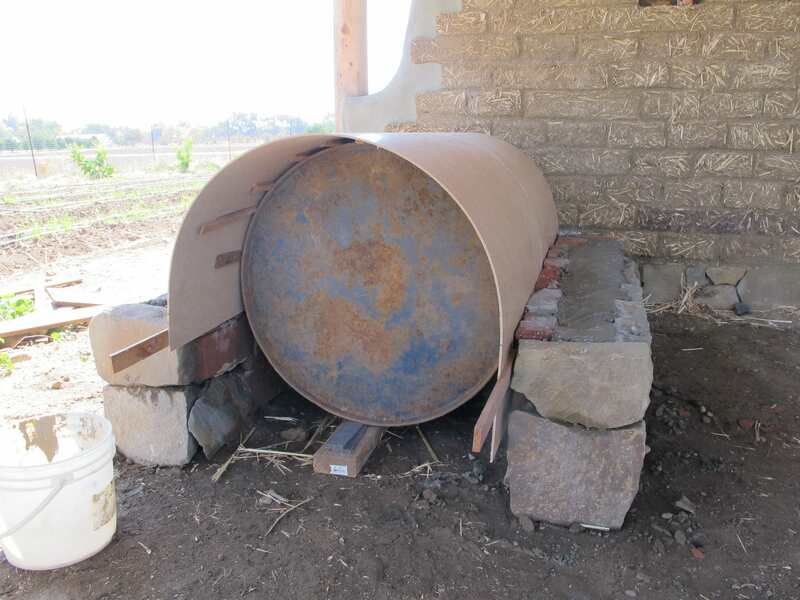 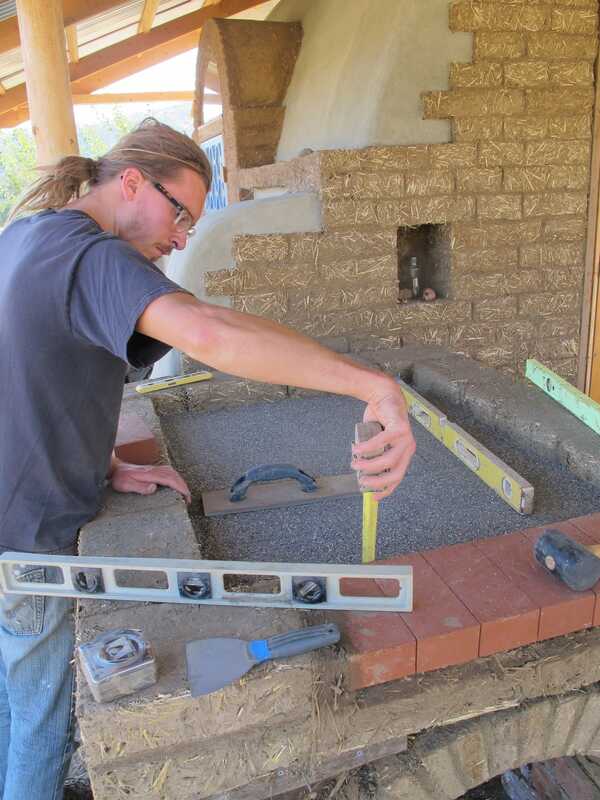 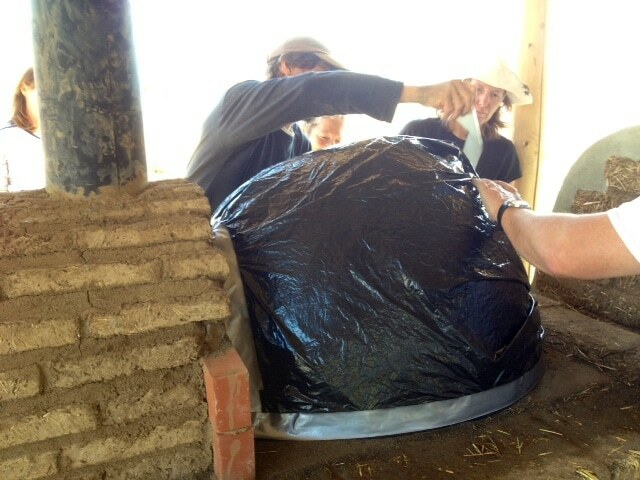 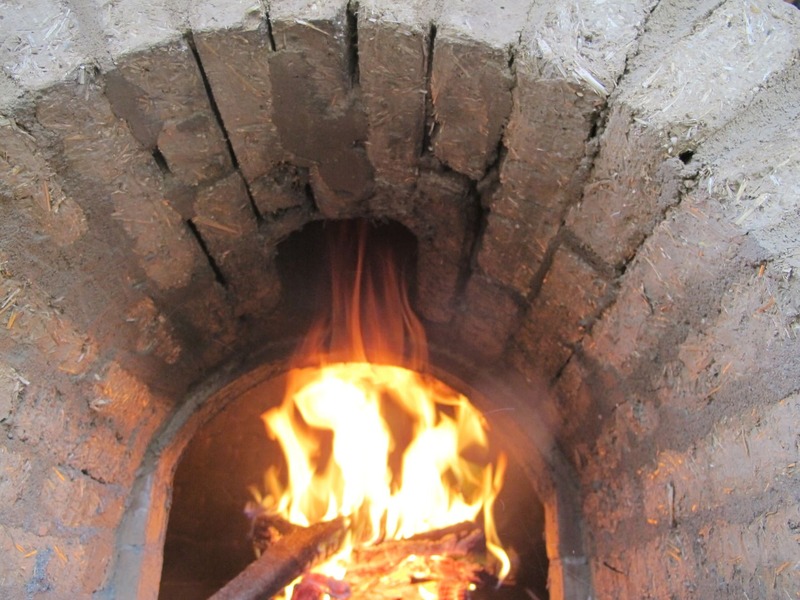 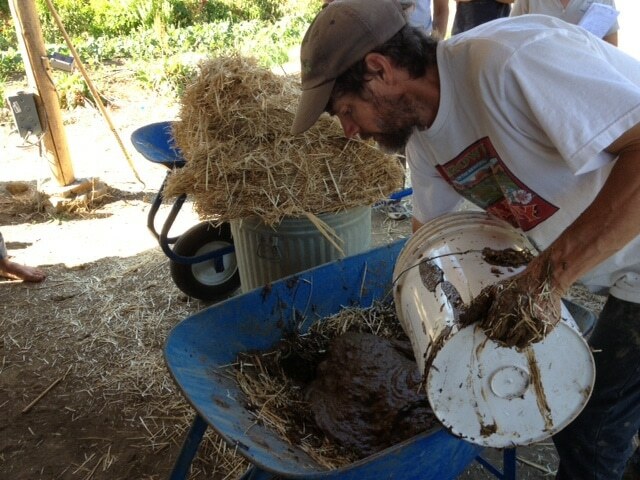 Our earthen oven here at the farm was designed to match the adobe Nubian vault in materials and style. 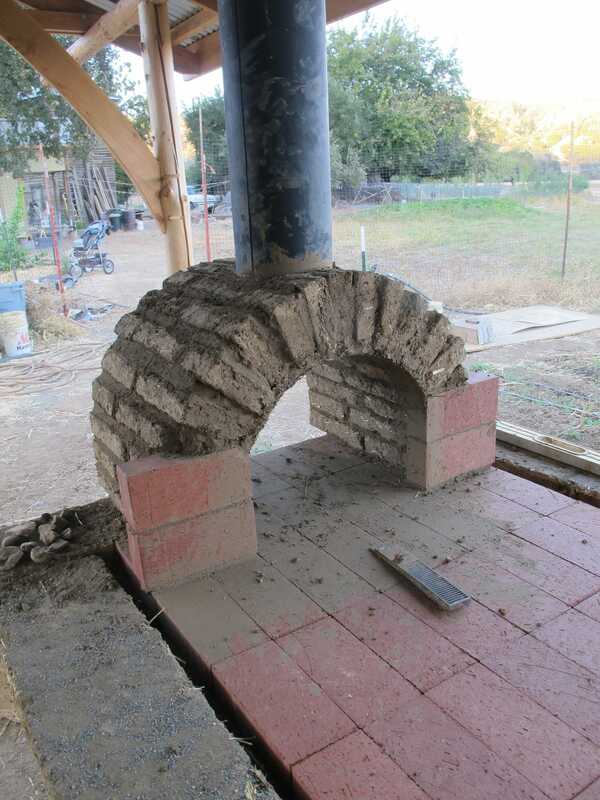 It has a chimney built into the front of the oven which makes it safer to operate and vents smoke through the roof so the underside of the roof won’t blacken over time. 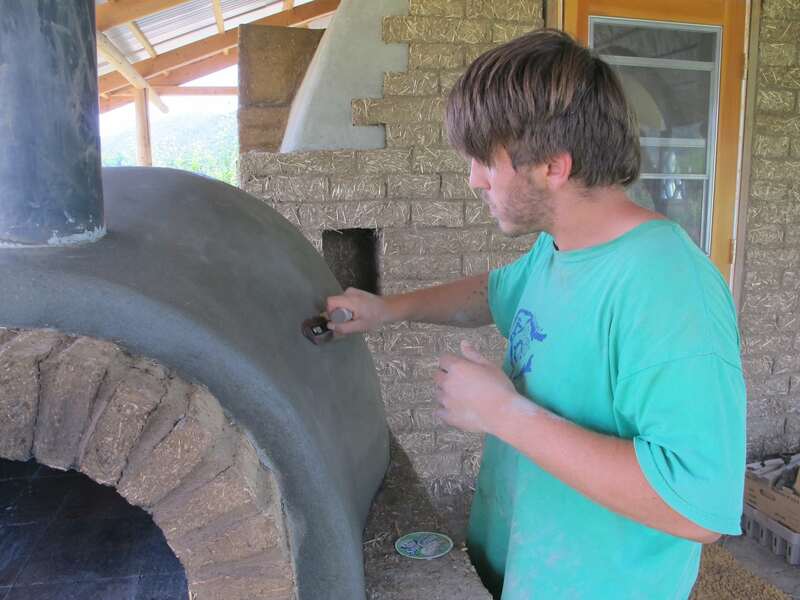 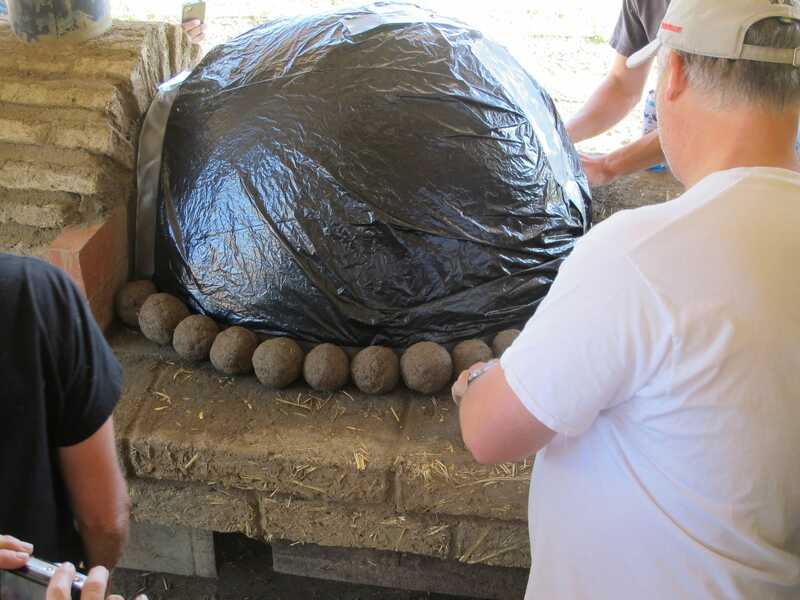 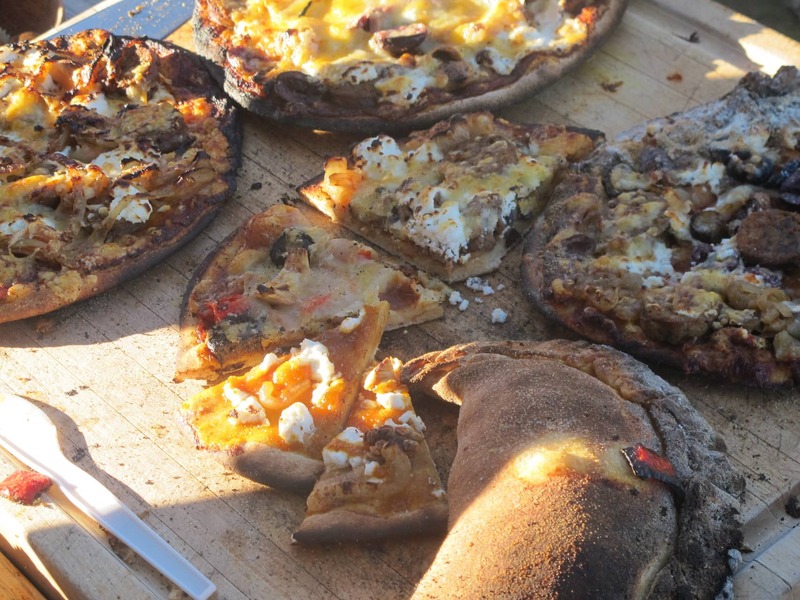 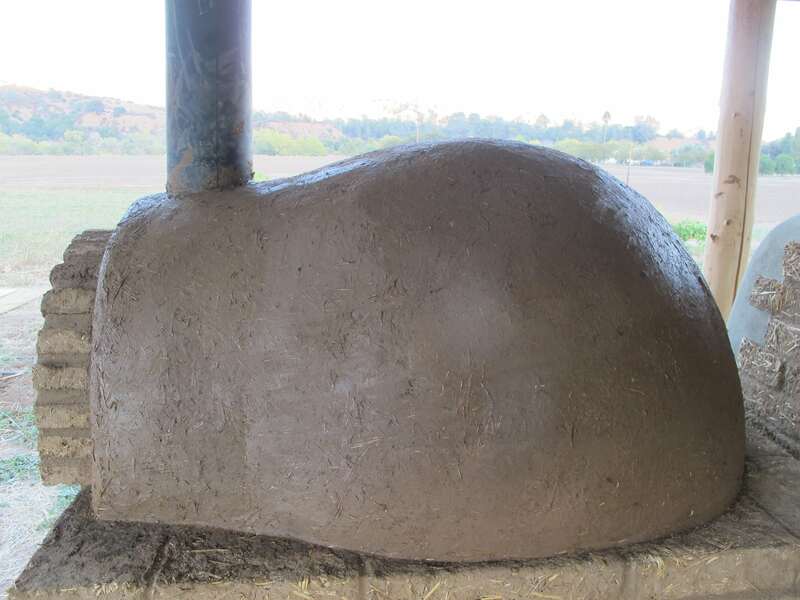 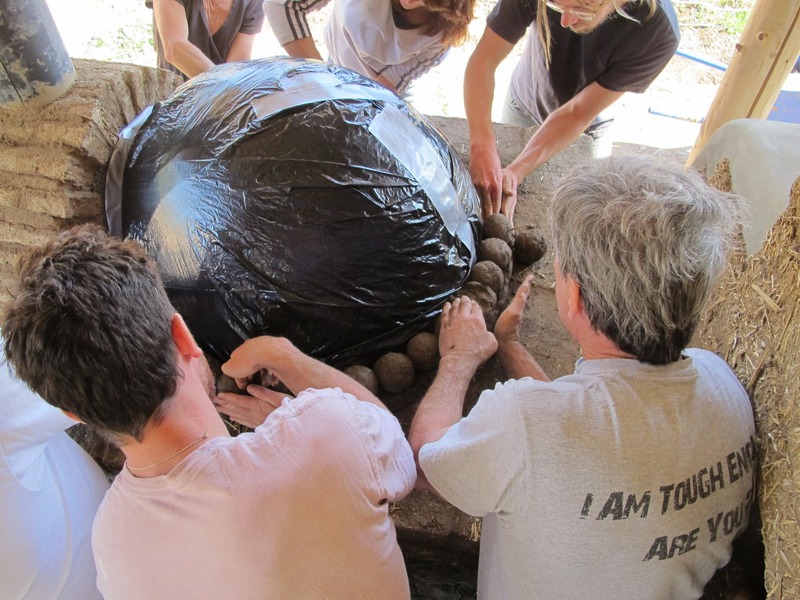 My oven domes are always made with two layers of material: a high-density inner shell made of sand and clay, that absorbs, holds, and re-radiates heat from the fire, and an outer straw-clay layer for insulation. 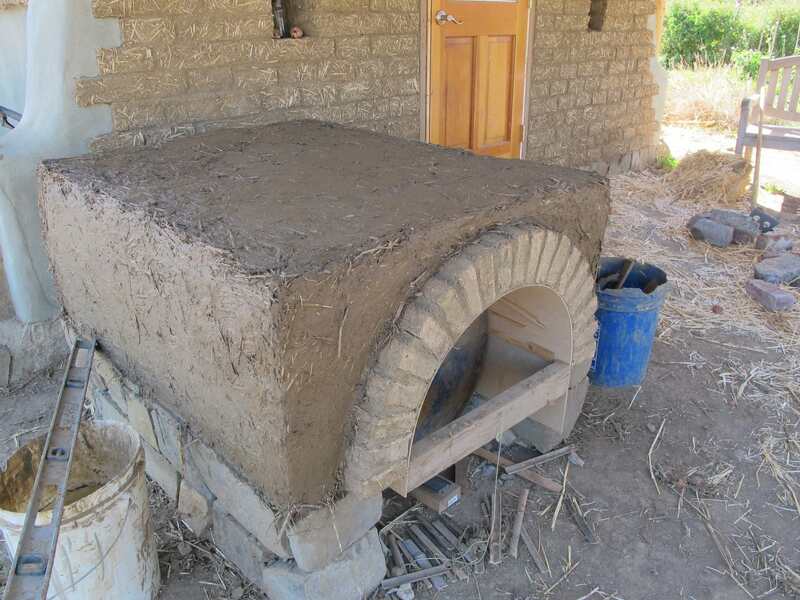 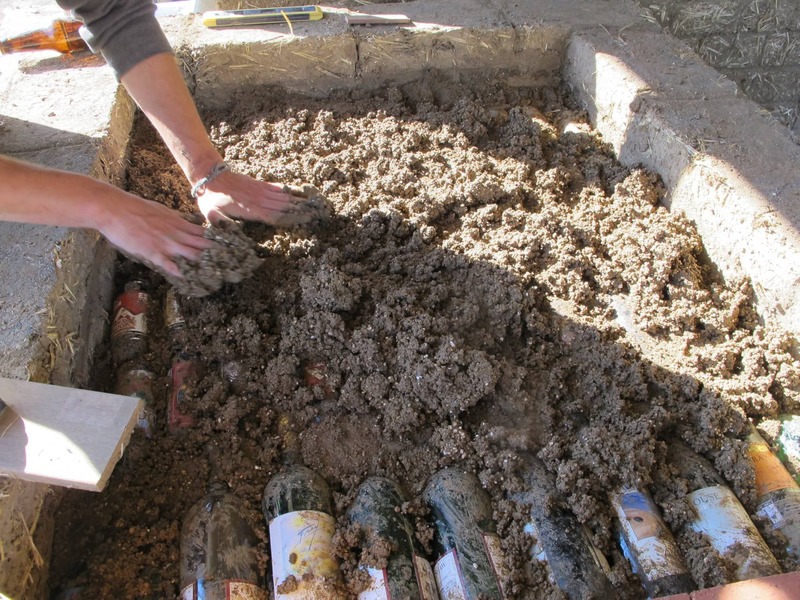 In this oven I experimented with under-floor insulation made of glass bottled and a perlite-clay mixture.